After zero return on their investment, the Philadelpha 76ers are keen to see a healthy Markell Fultz shine this season. And if his videos are anything to go by, it looks like he’s ready to go. But bro, you’re only putting more pressure on yourself with all these videos. Nice video, but now you’ve set a higher expectation than before. Good one. The last thing you need is more pressure. You’re already under the pump, being touted as another 1st pick bust. The only thing I ​learned from this video is that Fultz’s release is slower than me getting off the sofa. But kudos to you, I know how hard it must be to alter your natural form. But by the looks of it Fultz still has a long way to go. But is there really a need to post videos about it? No, because you’ll get everyone talking about it, adding more and more and more pressure to your situation. Just get in the gym and WORK — cameras off. 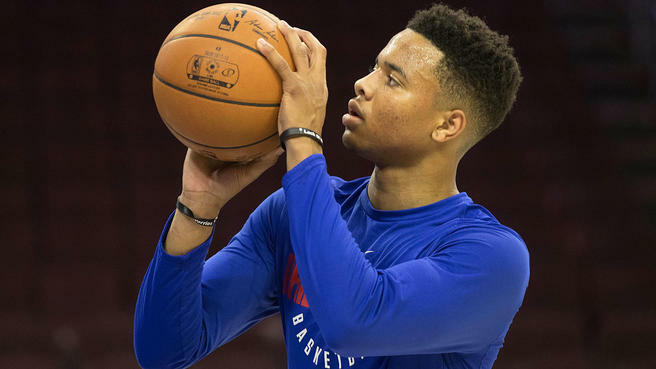 Everyone is trying to dissect Markelle Fultz’s “new” jumpshot. But if there’s one person I would trust with a players development, it’s @DrewHanlen. Track record is proven, Bradley Beal, Joel Embiid, Jayson Tatum, Kelly Oubre, Taurean Prince, etc. all improved this past season. Fultz could very well develop his shot into something reliable, but it still needs more work, evidently. Unless he’s taking the piss and throwing us all off. Either way, nothing will expose it more than the bright lights and blistering pace found only on the NBA hardwood.